The Texas Gulf Coast, where the North American continent descends into the Gulf of Mexico’s salty waters, harbors a steamy mix of marshes, bays, beaches, and ocean. Over the years, scientific institutions and conservation groups gravitated to this rich environment to establish laboratories, preserves, rescues, and aquariums dedicated to studying and protecting its diversity of life. We know most travelers escape to the coast to while away time on the beach, but we also know that such experiences take on greater meaning with a little educational insight. Here we’ve put together a science-by-the-sea road trip—a syllabus for discovering the most scintillating of salty facts. 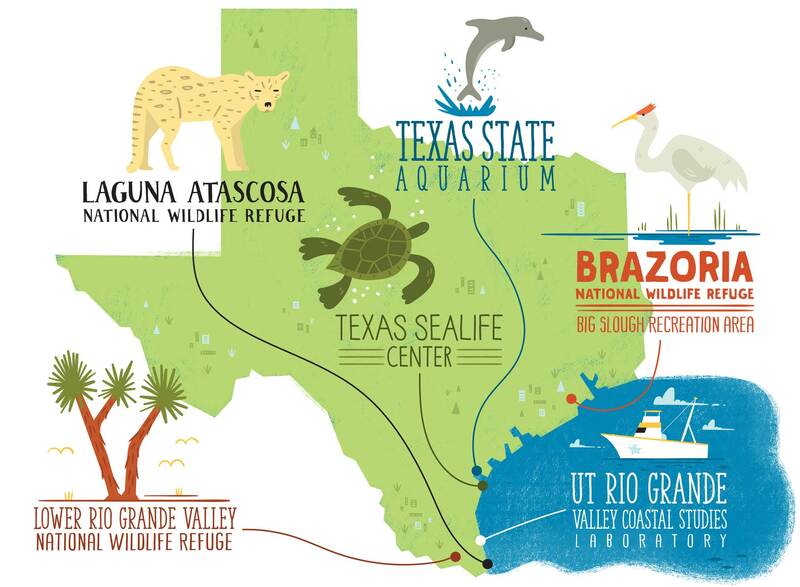 Many towns on the Texas coast harbor aquariums and science centers that explore the local environment. Open Wed-Sat 10 a.m.-4 p.m.
Open for self-guided tours Mon-Fri 1:30-4:30 p.m. Visitor center open Thu-Mon 8-4. Open Mon-Sat, 9 a.m.-5 p.m.
and Sun 10 a.m.-5 p.m.
Texas Sealife Center, at the entrance to Packery Channel Park on North Padre Island, rescues and rehabilitates sea turtles and other wildlife. On guided tours, visitors learn about this important work as they stroll among tanks of swimming sea turtles, bird enclosures, and native vegetation. Inside, a colorful mural portrays the actual size of the five species of sea turtles, from the smallest, Kemp’s ridley, to the largest, leatherback, whose shells reach lengths up to 6 feet. Another exhibit explains environmental hazards marine creatures face, including entanglement in debris, the subject of much scientific research. Volunteers share lots of turtle trivia, such as how a sea turtle can hold its breath for several hours while napping on the ocean floor. Visitors to the University of Texas Rio Grande Valley Coastal Studies Laboratory on South Padre Island get a glimpse of actual scientific lab work in addition to educational displays. Five to six tanks of varying sizes display native species collected by the lab’s “floating classroom,” a 60-foot vessel. “We run a trawl net that pulls up all sorts of things, maybe juvenile mangrove snappers, catfish, drum, sea trout, moon jellies, box jellies, and starfish,” Program Manager Shelby Bessette says. 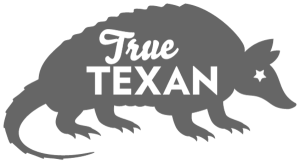 The lab’s displays include some 2,000 seashells, skeletons of dolphins and manatees, a sperm whale skull, and mounted dolphin and sea turtle specimens. Science often involves field work, or observation of scientific phenomena and data collection in the natural environment. Brazoria National Wildlife Refuge south of Houston offers a great place to get out in the field. The refuge protects remnants of Texas’ mostly long-gone salt marsh coast—freshwater sloughs and native bluestem prairie uplands. In Big Slough Recreation Area’s Discovery Center, exhibits chronicle local wildlife, including an interactive display on frog choruses and a live oak tree populated by mounted raccoons, birds, and a bobcat. Brazoria’s driving tours and walking paths provide opportunities to see animals in the wild, especially birds such as purple gallinules, great blue herons, roseate spoonbills, and wood storks. Yuccas bloom along Laguna Atascosa Lake at Laguna Atascosa National Wildlife Refuge. Another in-the-field experience happens north of Brownsville at Laguna Atascosa National Wildlife Refuge. The refuge boasts more recorded species of birds than any other of its type. Three-hour guided habitat tram tours traverse coastal prairies and thorn scrub forests, and offer the chance to spot birds—including aplomado falcons, reintroduced here in the 1990s—as well as deer and alligators. The refuge’s visitor center provides maps of walking trails and exhibits with a mounted ocelot, jaguar, and aplomado falcon. Also in the visitor center, a 30-minute video explores the topic of ocelots, an endangered species of spotted wildcat. Somewhere between 50 and 80 ocelots survive in the country. 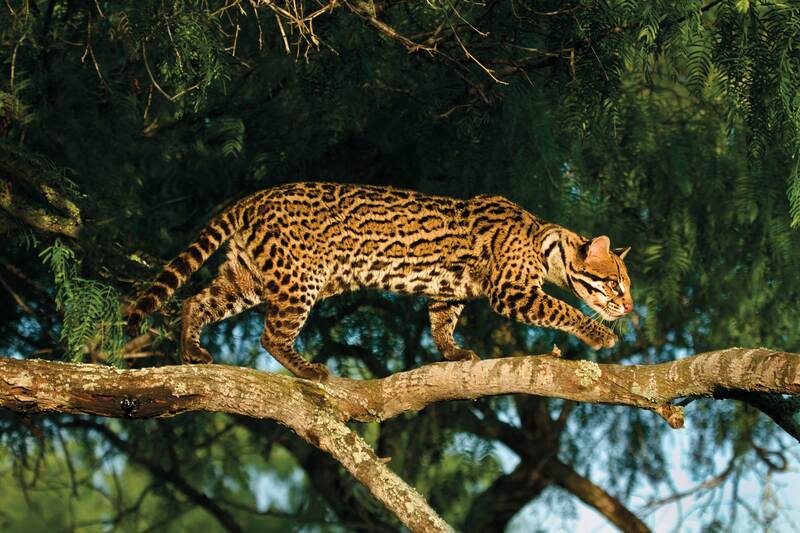 Ocelots are one of 45 resident mammal species that call Laguna Atascosa National Wildlife Refuge home. 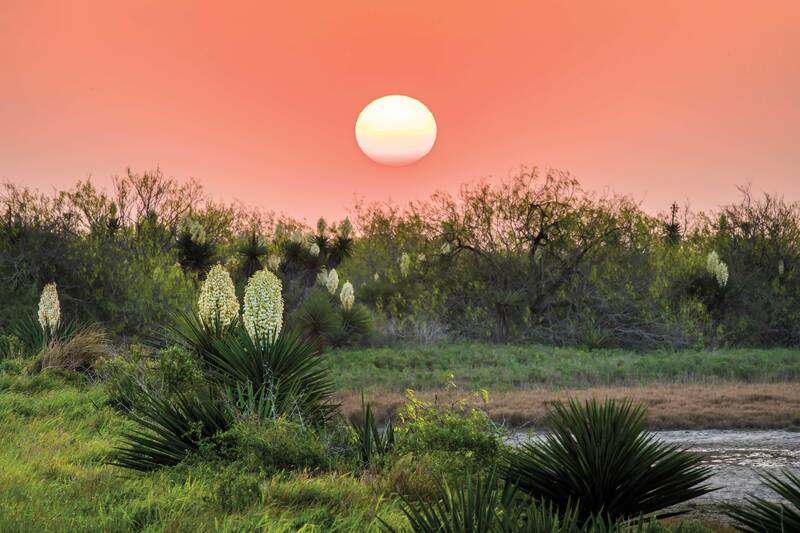 At the Texas-Mexico border, the Lower Rio Grande Valley National Wildlife Refuge harbors a number of species rare in this country: a community of sabal palms populated by equally rare creatures such as the southern yellow bat, and century-old yuccas called Spanish daggers. Loggerhead shrikes, a resident bird species, impale insects and small reptiles on the yuccas’ sharp points to dine on later. The refuge shares a visitor center with the Santa Ana National Wildlife Refuge, which provides maps, brochures, wildlife checklists, and information on trails. In Corpus Christi, the Texas State Aquarium offers lessons on everything from sandy environments and mangrove habitats to deep-water species like moon jellies and giant Pacific octopi, and Caribbean coral reefs found at the Flower Garden Banks National Marine Sanctuary 115 miles off the Texas coast. A tank with a replica of an offshore oil platform shows how these underwater structures provide food and shelter for a variety of marine life, including sand tiger sharks, stingrays, and several species of fish. Other worthy stops on a science-by-the-sea road trip include Sea Turtle Inc. in South Padre Island, the Texas A&M University Galveston Sea Life Facility Outreach Center, Aransas National Wildlife Refuge in Austwell, and the University of Texas Marine Science Institute in Port Aransas (currently closed for repairs). Sandbar sharks and a scuba diver at the Texas State Aquarium in Corpus Christi. visitors to follow tagged animals in real-time on a large, interactive map of the world. 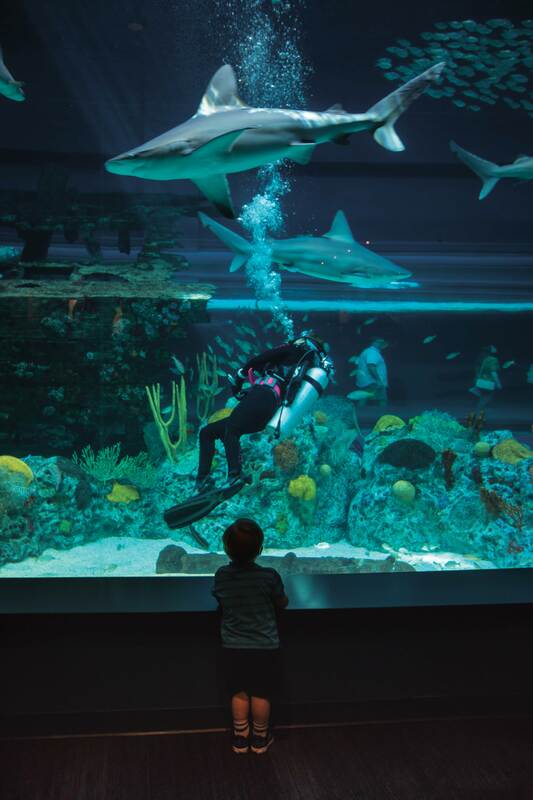 Visitors watching tagged sharks navigate their watery world can’t help but gain a deeper understanding of these animals, just as other stops on a science-by-the sea road trip foster a greater connection to the Texas coast. More importantly, these educational spots make learning about the coastal environment fun. Even better, there won’t be a test.